Courtesy of William Galt Jr.
Bill Galt, a health food pioneer who founded Good Earth Restaurants Inc. in 1975, died on Aug. 2 at the age of 89. The Associated Press reported that Galt died in Reno, Nevada, from complications after surgeries to repair a broken hip and pelvis. 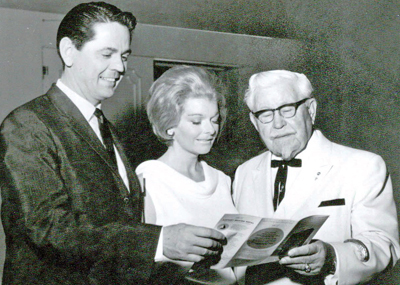 Bill Galt was an early franchisee of K entucky Fried Chicken and a close friend of KFC founder Colonel Harland Sanders, according to his son. (In the undated photo at left, Bill Galt and his first wife, Nancy O’Donnell Galt, review a brochure with Sanders.) Galt went on to own other restaurants in Reno, serving barbecue beef and fish and chips. He reconsidered his offerings as he saw many restaurateur friends dying of heart attacks in their 40s, and Sanders himself suggested that Galt open a restaurant that served healthy food. In 1975, he opened a 22-seat restaurant in Reno: the first The Good Earth, with the goal of changing the eating habits of Americans. The restaurant offered only fresh, unprocessed foods, many of which were plant-based. Galt researched cultures worldwide to learn about the food they ate. After a stint in politics, Galt believed he wasn’t making the world a better place. Through his studies, he came to believe that nutrition and world health were connected to war. 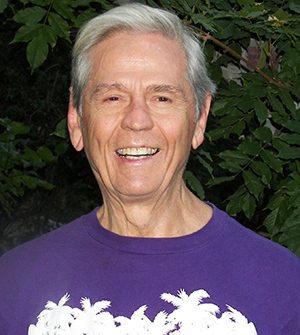 “I decided that the best way I could make a real contribution was to be a catalyst in changing the nutrition habits of the world,” Galt told Cooke. Galt’s daughter, Marialice Galt, managed the Hawaii restaurant after she earned college degrees in nutrition and criminal justice, he said. General Mills purchased The Good Earth chain of 15 restaurants in 1980, but Bill Galt continued to be the chain’s chairman. By 1986, General Mills had converted some of the 20 company-owned locations into Olive Gardens or Red Lobsters and closed others. Other locations were operated by franchisees, according to the Los Angeles Times. “Good Earth is probably the most prominent chain example of a health-food concept,” Richard Martin, West Coast editor of Nation's Restaurant News, told the L.A. Times in March 1986. Galt is survived by his wife of 28 years, Gail Weaver; his former wife, business partner and mother of his children, Nancy O’Donnell Galt; his children, Marialice Galt, Lisa Galt, William Galt Jr. and Nancy Galt Jr.; and his two grandchildren. All photos courtesy of William Galt Jr.